Plasma Car is a dynamic plastic ride on toy. Any Plasma car review will suffice to allure you to buy this toy car for your kid. Mainly originated in China this toy has been made popular by PlaSmart in North America. It is the most versatile plastic toy for kids without any pure power source. The only support to accelerate Plasma Car is using the feet. Plasma Car harnesses the force from the nature like inertia, centrifugal force, gravity and friction to drive forward or backward. Without any fuel, batteries, pedals or gears, this versatile toy helps kids to use their ability and focus on coordination. You will get more in-depth information from this Plasma car toy review. The Plasma car is a popular baby toy around the globe. Kids love it and the toy is also a perfect choice for them. The sleek and compact design of the Plasma Car is recognized by the toy industry. 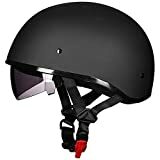 Therefore, you, like parents around the world, will also think that the car is perfect for both indoor and outdoor riding experience for your kid. The rubber framed seat and foot grip are comfortable enough to assure you the safety of your little one. The weight capacity allows the adults having fun riding on this car. The speed limit will remove the danger concerns. No power source required and driving mechanism is natural. Measure: The measure of the assembled Plasma Car is 31 inches in length, 11.8 inches in width and 11 inches in height. The weight is only 7.28 pounds to match a baby toy-ride. Plasma Car is designed for the kids of 3 years and up. But it is quite adaptable for the adults. The weight capacity of the Plasma Car allows people up to 100 kg. The design of Plasma Car is awarded by different association. The body of the car is mostly rubberized; especially the seat and foot grips. The steering wheel is foam-embedded to protect the ankles and shin if any accidents happen. But the body of the Plasma Car is so low that you might go concern free of any accidents. The plasma car is best for flat and even surfaces. The wheels damage is the concern on an uneven surface. It can damage your wooden floor too. The plasma car reviews will attest that Plasma Car is different from the fancy and flashy electronic toys or other power source supported toys. This toy car is kid-friendly which is eligible for 3 years old. Adult riders can have a lot of fun from this smart toy. The driving of this car doesn’t require any thrust or pressure from the back. It applies more physics to maintain its driving mechanism. The front wheels of the Plasma Car are attached to a lever sticking to the steering wheel. Your kid can drive it just by turning this wheel left or right in the perfect moment. That requires more concentration and upper body pressure. The torque at the steering wheel creates friction on the ground using wheels. After that, the reaction of this force helps the car to accelerate it to forward. It is pretty similar to a skateboard. Skaters also wiggle to accelerate the board and use the turn to control the speed and brake. The wheels from the back of the Plasma Car spin normally and avoid pivot. This mechanism saves your kid from extra pulling and turning factor. Evolution of the Plasma Car was pretty fast. This versatile toy car is popular for its sleek design and the free driving mechanism. The body of the Plasma Car is as low as the ground to ensure the safety. The speed is also controllable easily. The Plasma Car Review from many customers and observers proves it safe and creative for your kid. The car is sleek and simple for the specific age limit kids. The kids have more fun in this car than a traditional flashy toy. The car will require more focus from your kid. It will increase the thinking and coordination of your kid. The Plasma Car earned numerous positive reviews from websites. Additionally, this toy is the most popular of all the PlaSmart Products. It is favorite to all the marketplaces frequented by the happy customers. The stars are also astounding as 5 out of 5 in Amazon.com, 4.5 out of 5 in Chapters and 5 out of 5 in Brain Toys. It was ranked 7th in the list of Disneyfamily.com’s Toys for kids list. As the report from the user, Kids are spending more times than other games or toys in the Plasma Car. The kids also enjoy more when more of them drive it together or play to compete for a race. Even they race with one another; it won’t be a concern for you. The speed limit is around 6 miles per hour for the Plasma Car. The weight limit is pretty comfortable for adults too. But you need to ensure flat and smooth surfaces to drive easily. It is difficult to speed up the car while the surface is uneven. The car can be damaged especially the wheels in rough areas, cracked pavement or sidewalks which contains deep crevices. So it is difficult for the people over 100 pounds in those cracking surfaces. In most of the Plasma Car Reviews, people have mentioned learning priority of the Plasma Car. This simple toy increases the learning and thinking appeal of the kids. The driving of the Plasma Car depends on the intuition of the kids. That’s why it requires much focus and concentration while driving. Your kid can push his feet on the ground for a head start, but this toy does not require feet movement. It requires upper body limbs pressure to accelerate forward or backward. But the full propulsion needs more consistent effort. Your kids need to learn the time when the car requires the moving wheel. Some children learn it fast but other goes past the trial and error experiences. This experience develops the patience and moral spirit. The Plasma car has been awarded by multiple associations. It has won the Oppenheim Portfolio Platinum Award 2005. Other awards are – Gold Seal Award 2005, Dr. Toy’s Best Vacation Winner 2005, TD Monthly Top Seller 2007. It has also received the Totally Awesome Awards Seal 2016, TNPC Seal of Approval 2005 and TOTY Nominee 2007 etc. Safe ride for both indoor and outdoor fun. Adaptable for adults on smooth surfaces. Great learning experience and more fun. Not recommended for a wooden floor and uneven surfaces. Though Plasma Car is popular in all aspects the wheels of the car are made of weak plastic. These wheels do not allow the cars to ride on uneven surfaces. There come Plasma Car Polyurethane Replacement Wheels instrumental as you can easily solve this issue by replacing the high-grade polyurethane replacement wheels which ensure a faster and smoother ride. This is the best Plasma Car and is a revolutionary toy from PlaSmart. It is highly reviewed and sold around the world. The awards and recognitions already prove it to be the best ride on toy for kids. This adaptable ride is made of plastic. 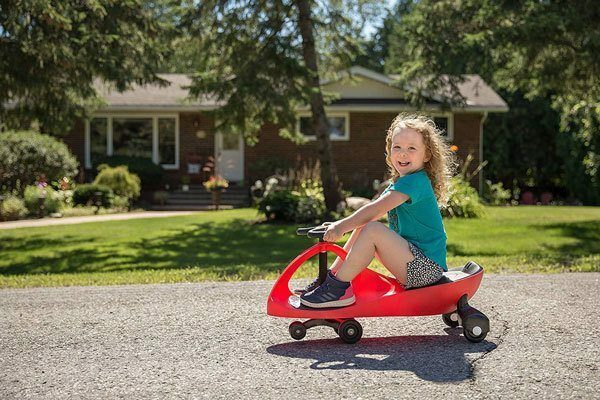 The sleek and compact design of the Plasma Car has made it more adorable. The natural driving mechanism creates the opportunity of learning and allows the kids to increase their focus, coordination, and patience. Every single plasma car review will stand for all that this review article has highlighted.